A term infamously coined by Kit Harington’s ‘Game of Thrones’ character, the sulky faced heroine, Jon Snow (not to be confused with Channel 4 newsreader Jon Snow – despite the fact that i’m sure you’ll agree he could still rock the medieval leathers/dragon slayer look). And at this time of year, never was he so on the money. Not only is winter coming, it’s here. And its bloody freezing! Despite my macho, alpha-male, facade, I’m going to let you in on a little secret. I do not fare well in the cold. Those who know me will vouch for the fact that I can regularly be found reaching for the nearest woolly jumper at the first sign of air conditioning, let alone the arrival of 2018’s ‘Beast from the East’ (which inadvertently turned out to not just be a reference to ‘Geordie Shores’ Gaz Beadle!). Slick glass footpaths, snails pace traffic, frozen extremities, snow balls (unrelated to the aforementioned extremities…) and ‘yellow snow’. Nope. Winter is not the one for me. Wake me up in June, with a tall glass of gin and an ice & a slice. You see, I was made aware of a cold front making its way across the country with an entirely different feel. And one that wouldn’t be greeted with a frosty reception on my part. But would it be enough to melt away my winter blues? There was only one way to find out; I was wrapping up warm & opening the door to Boadecia Gin. Settle yourselves in and grab a glass of the good stuff – in the words of Antarctic explorer Captain Lawrence Oats…I may be some time. I was recently extremely fortunate to receive samples from the Norfolk based Boadecia Gin, promising to deliver the ‘spirit of the Iceni’ – a Brittonic tribe of the Norfolk/Suffolk area during the Iron Ages & Roman era. And whilst this ancient sword wielding tribe may long since have been replaced by gangs of ASBO wielding teenagers, Boadecia harness the history and heritage from their region within the story of their gin. Indeed, their very name is taken from ‘Queen Boadicea’, who ruled the Iceni tribe with her husband King Prasutagus. Known by her striking looks, flame red hair, harsh glare and even harsher tone, she was not a lady to be ignored! (baring much similarity, with the exception of the hair colour, to Mrs.Theginshelf when I erroneously suggest that perhaps we should change the channel when ‘Call the Midwife’ is on TV…). And in opening the package, to reveal the contents of my special delivery, I’d have to agree that the team have created a product that lives up to their mistresses reputation; they’d be difficult to miss on a back bar! Boadecia Gin comes in two formats – the ‘Classic’ London Dry and the seasonal offering of their ‘Winter’ gin, which is available October to January (see, I told you Winter was coming!). Both bottles have an aesthetically pleasing matte finish, as smooth to touch as they are on the eye. The Classic bottle screams in your face with its vibrant ice cold blue colour, whilst the Winter Edition is a piercing & blood curdling deep red, befitting of Queen Boadecia’s auburn locks. Front and centre you’ll find the silver tribal mark staring back at you, giving an almost Celtic feel to the final package. Sure, it’s slightly unusual in its appearance – perhaps more of a look I’d associate with a Vodka bottle – but you can not deny that it is bold, bright and a standout. It’s almost as if the gin is donning it’s war paint – the earlier ‘Game of Thrones’ references don’t feel at all out of place here! On the nose the Classic gin is cleansing and fresh. There are upfront soft aromas of juniper; the pine is gentle but definite and present on every sniff. There’s a lovely balanced sweetness of vanilla and warming cinnamon spice to the scent, complemented by soft lemon notes. As the gin opens up in the glass, the combination of lemon and grapefruit work together to give suggestions of a limey sharpness on the nose. With a little more exploration, a herbaceous and green background becomes evident, which I place as being coriander and thyme. To taste, the neat gin is a lot more herbal than I’d expected – theres a sense of menthol heat, working alongside the zingy coriander and gentle notes of thyme. Lemon would be the main citrus botanical to my pallet, though it’s not a standout characteristic of this gin. What I would say is that it presents itself as being a lot bolder than the 40% ABV had suggested. If I could describe this gin as a colour, there is almost a blue haze emanating from the glass on behalf of the herbal and juniper botanicals, which stand tall on every sip. Soft, gentle, yet purposeful, with a satisfyingly long finish. I opted for a G&T serve for the Classic gin, with a lemon wedge garnish and a fistful of ice. I wasn’t disappointed! The lemon garnish pulls forwards the once subtle citrus notes, which were more hidden in the neat serve. It provided a bright & zesty kick, evolving in to a long lasting lemon wave. The tonic also helps to mute some of the heat and spice to allow sweeter lemon tones to shine from the glass. And it’s all perfectly balanced against that ever present backbone of pinecone-esq juniper – it is, simply put, delicious. The gin has enough about it to stand up to a premium tonic, with the same herbal and green sensibilities of its neat presentation allowed to shout, with whispers of vanilla and cinnamon still dripping from the glass to give a rounded and smooth finish. If you’re partial to a bit more greenery in your gob, the Boadicea team suggest going for a dual garnish of lemon & thyme. I’d describe the Boadicea Winter gin as having an almost Negroni like quality to it, with bitter & spiced notes pinching the nose. Flavours of mulled wine, spiced apple, orange and snapped cinnamon sticks create a fantastic and inviting first impression. There’s a vermouth like sweetness to the vapours, which work in harmony with suggestions of a gentle clove like spice and coriander warmth. Pleasingly, light juniper continues to make its presence felt throughout. On the pallet, there is far more liquorice than I’d expected, but not at the expense of lashings of juniper washing over your tongue. There’s a definite mulled quality to the neat gin; that sweet and warming cinnamon spice brings a welcome festive sense to proceedings. When combined with the coriander there’s a satisfying heat and longevity. Clove studded oranges swill around the glass, intertwining with the sweeter notes to delicious effect. However, whilst I know they are in there, the one flavour that weirdly escapes me are the cranberries, perhaps not as distinguishable as I’d anticipated. My head and pallet tell me that the Winter gins profile doesn’t lend itself to a Gin & Tonic serve. I instead opted for a Ginger beer, to play on some of those spiced characteristics, with an orange garnish to enhance the citrus botanicals. In reality, I’m not sure it worked! The heat of the ginger and the sweet orange were a welcome addition to the mulled sensibilities of the gin, but the ferocity of the ginger overwhelmed the spirit – this may actually work better with a splash of ginger ale. That said, given time to open up in the glass and acclimatise, it becomes strangely appealing and a definite winter warmer. For my money, this gin is screaming out to be included in a Negroni – perfect for those autumn and winter evenings by the fire (and for those scorching summers in the sun! I don’t need much of an excuse for a Negroni…). What can I say as an overall summary for Boadicea Gin? 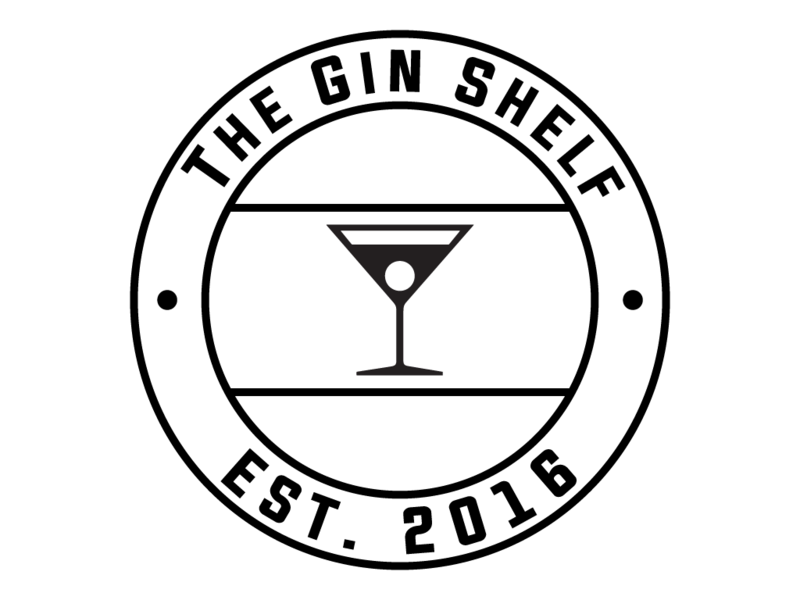 Here is a brand that has created a gin that will not only stand out on the gin shelf, with its unique ‘look at me!’ design but also delivers on the goods as both a neat gin and across a range of classic gin cocktails. And if all of that wasn’t enough, the team are just readying themselves for the launch of the latest addition to their range, a pink Gin, in the form of their Boadicea Gin ‘Rosa’ – keep your eyes peeled for more news soon. I’d go as far as to say that this gin could even help cheer up the aforementioned Jon Snow (both the King of the North, and the King of the Newsroom). With special thanks to my new friends over at Boadicea Gin for my samples & to Hayley over at @theginwyche for the introduction! Be sure to follow team Boadicea across social media (@BoadiceaGin) and over at their website http://www.boadiceagin.co.uk for all the latest news and going’s on!